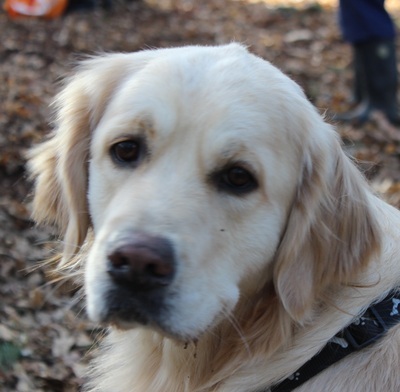 Just when we thought things couldn't get any better.... they do! 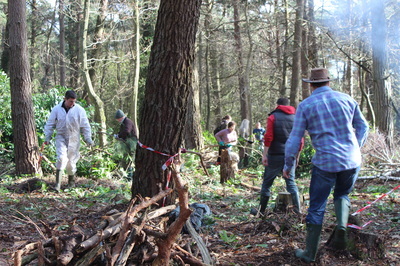 Another epic work party attended by approximately 45 volunteers. Surrounded by storm damage from the previous day, the sun was shining and the wind had dropped. 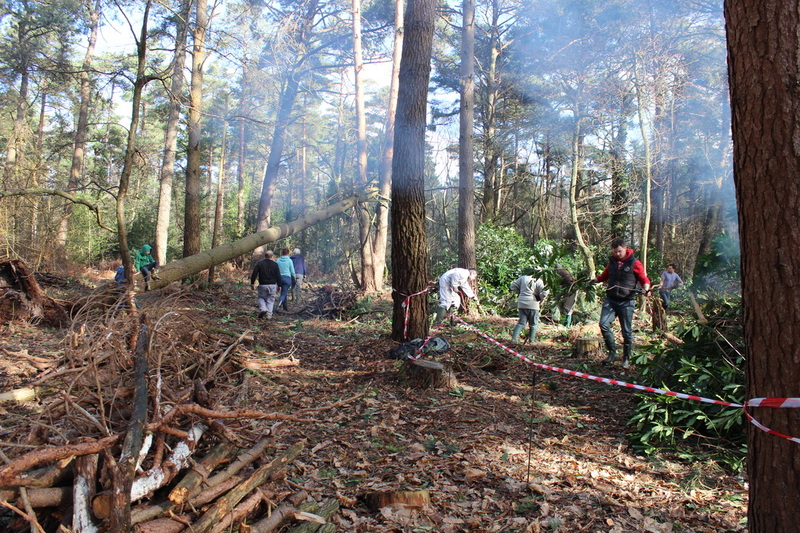 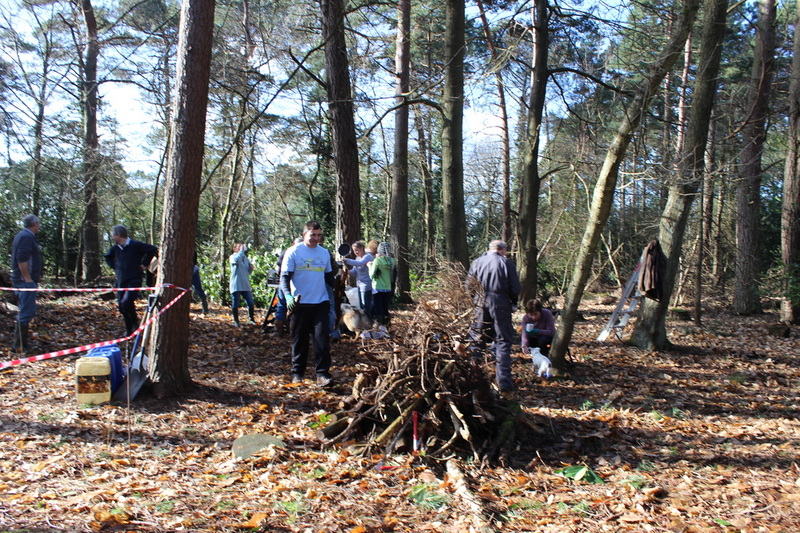 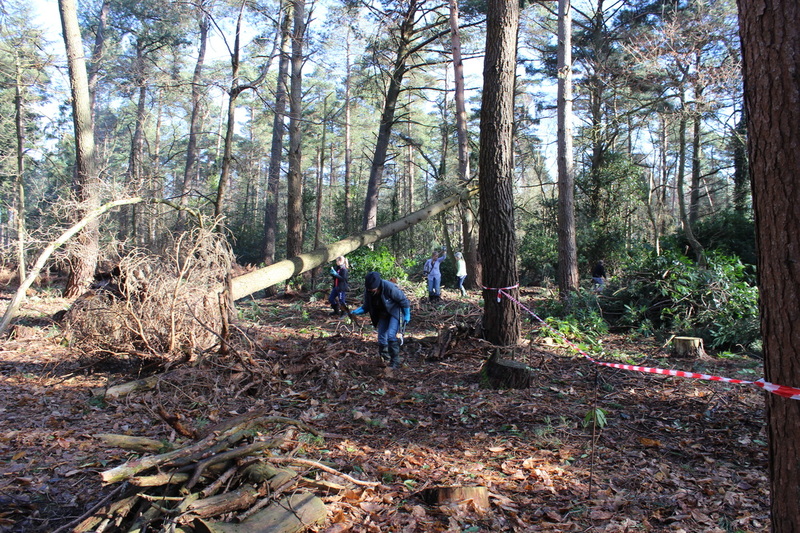 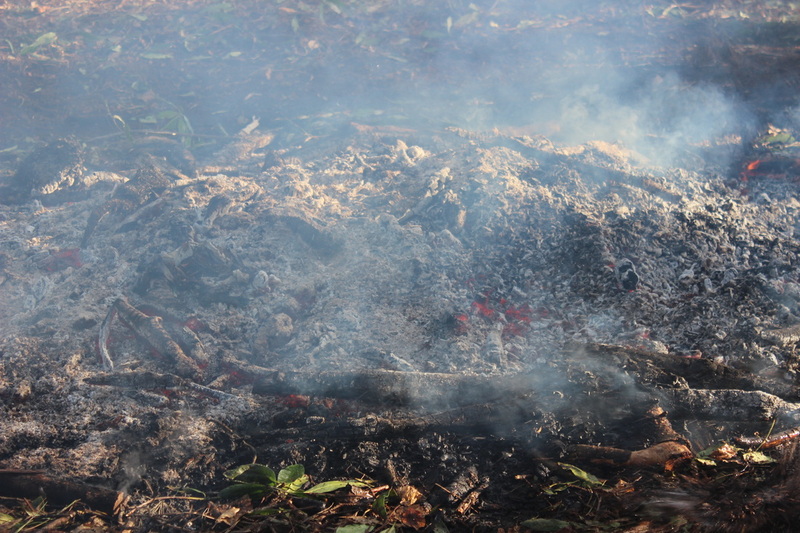 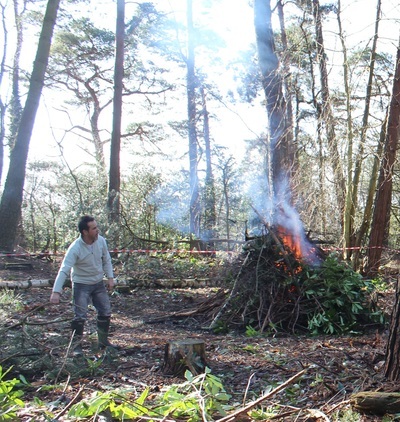 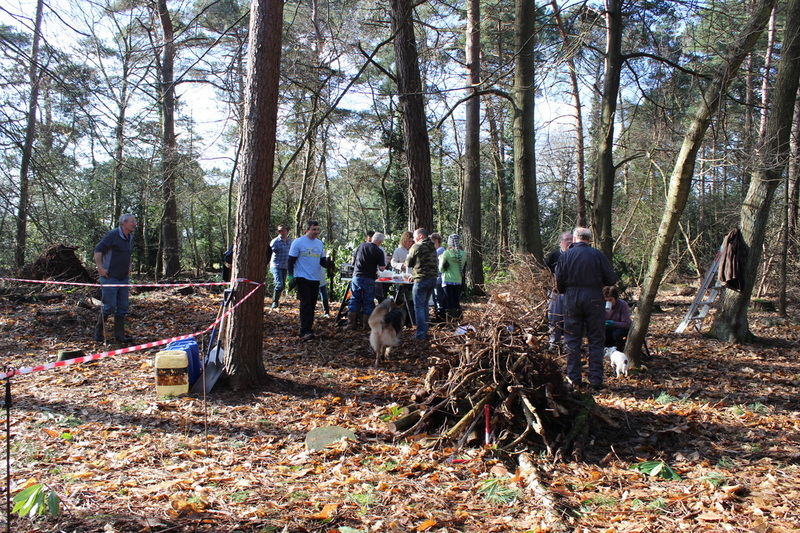 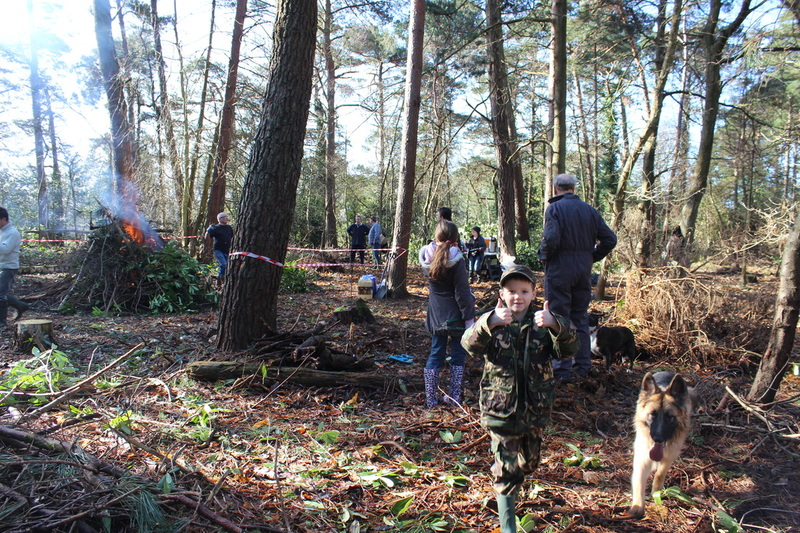 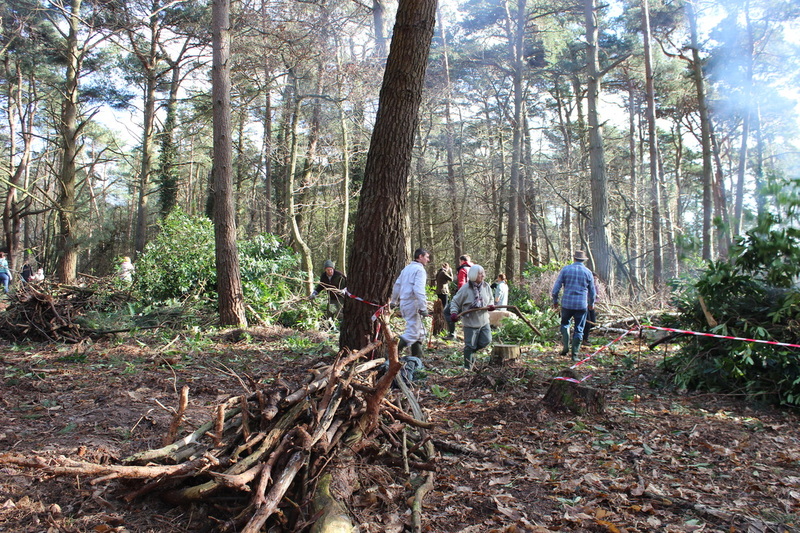 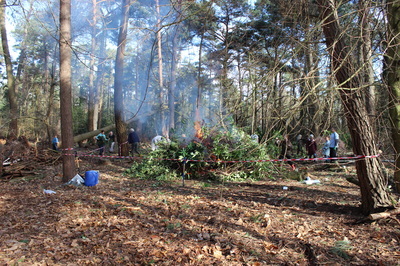 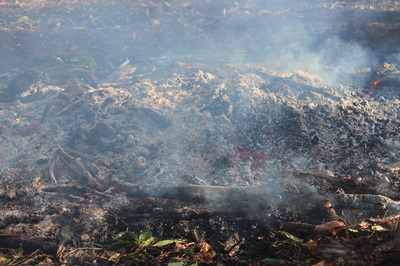 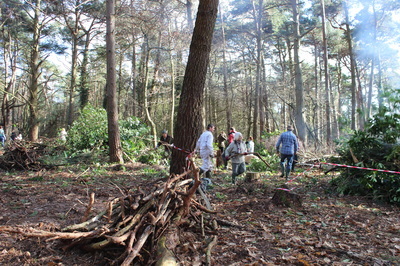 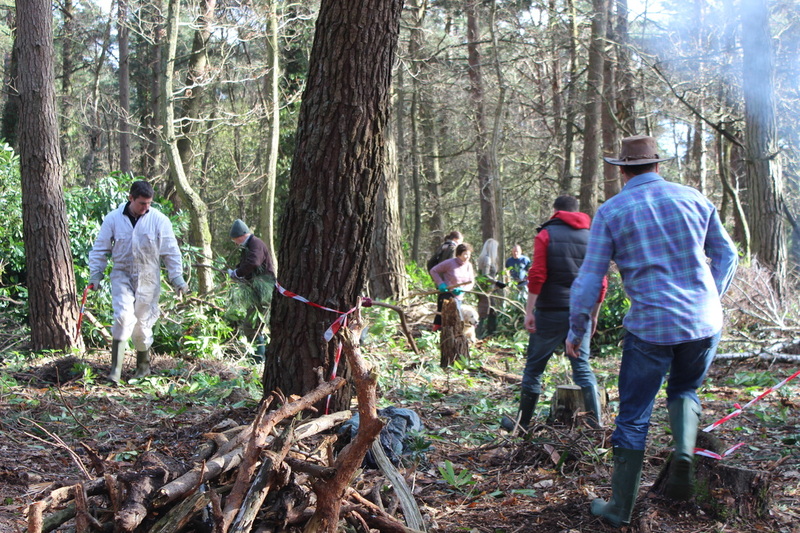 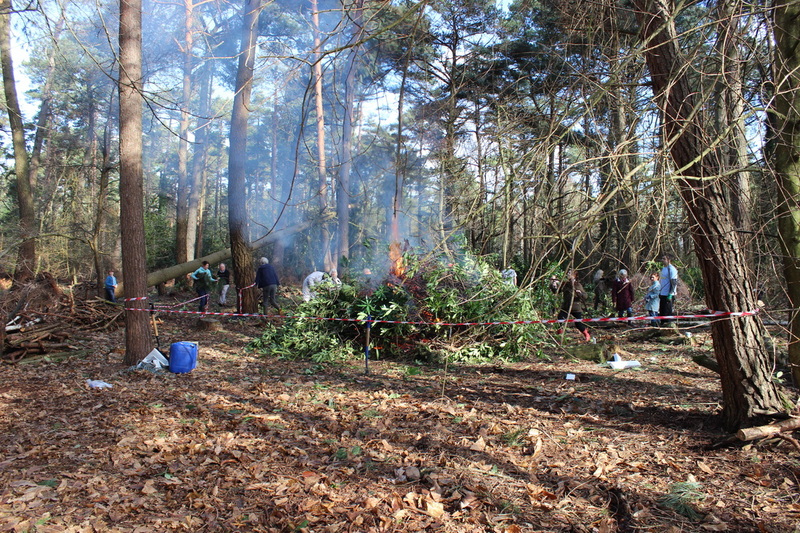 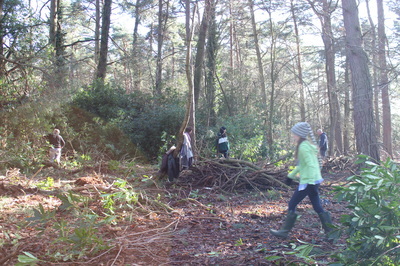 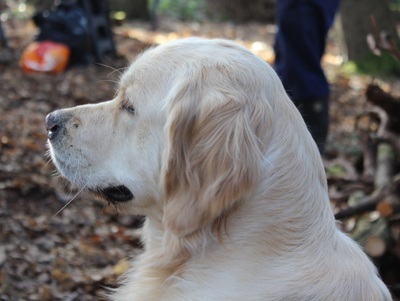 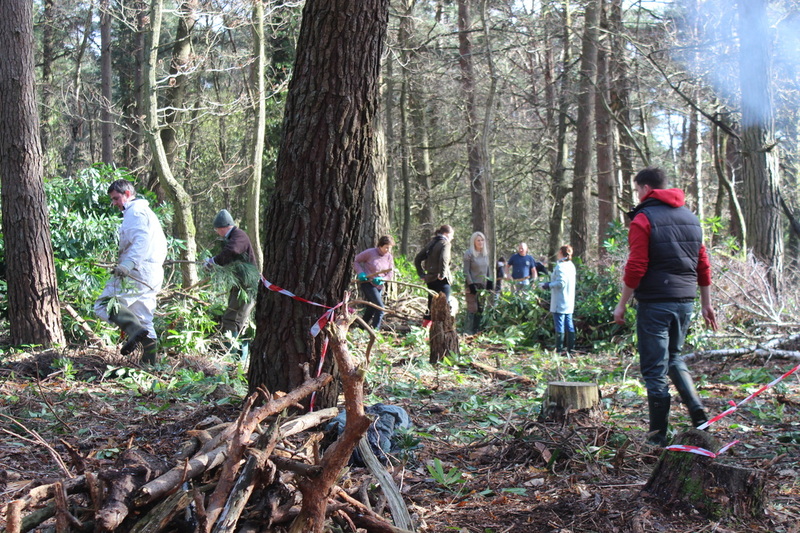 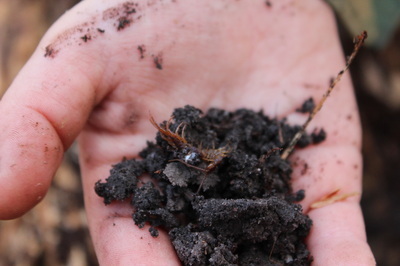 We continued the battle against the Rhododendron as well as continuing the mammoth task of tidying up the woodland by creating habitat piles and burning a lot of debris. 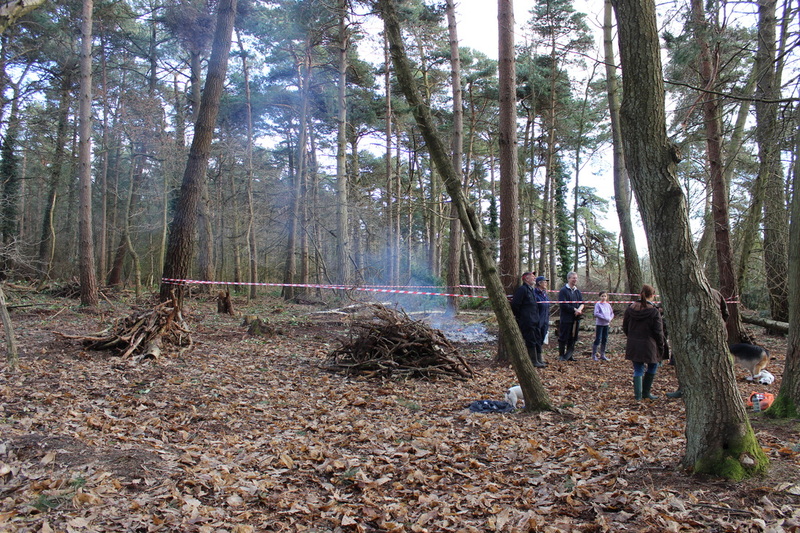 The bonfire was also put to good use cooking sausages on our new frying pan complete with 5 foot handle..... great to cook with on a roaring bonfire, but a little harder to wash up! It was great to see so many new faces, particularly families. 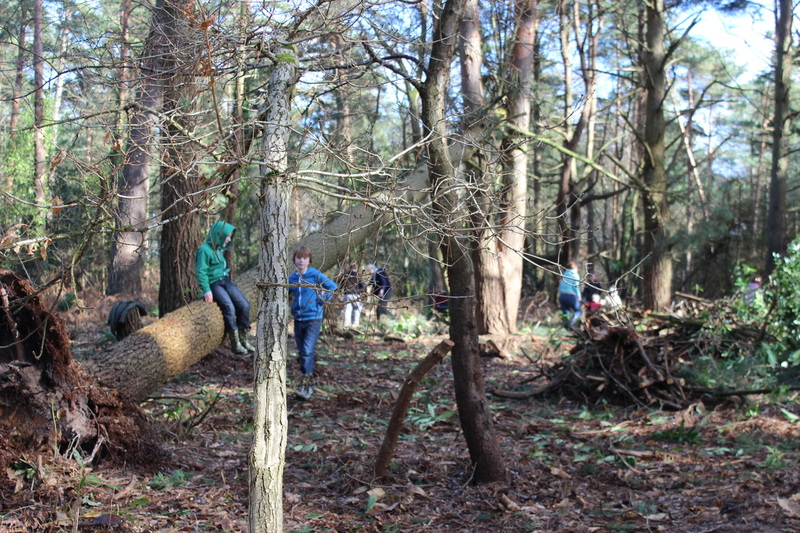 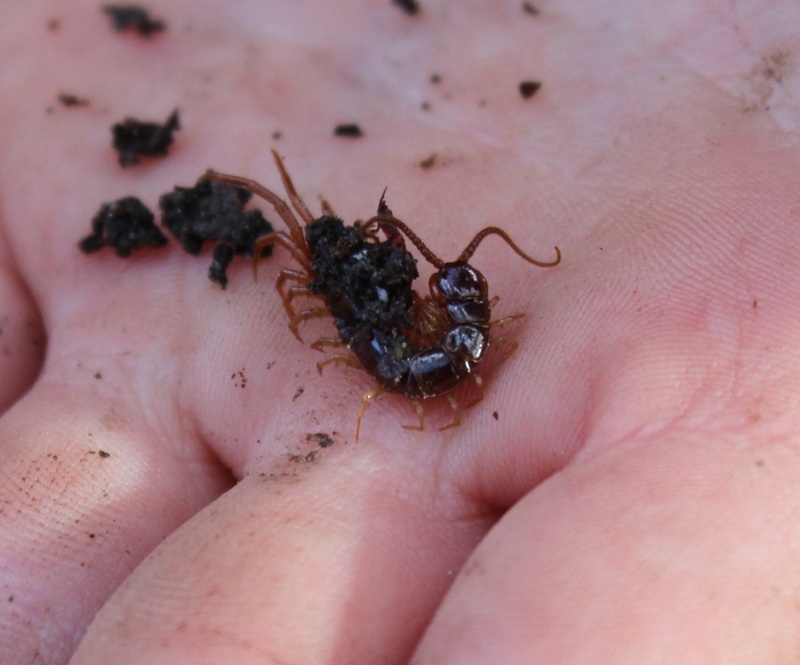 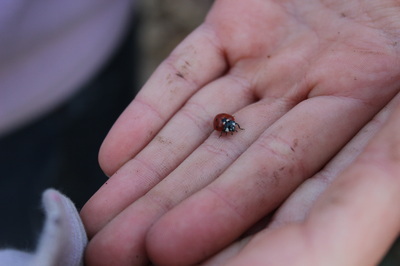 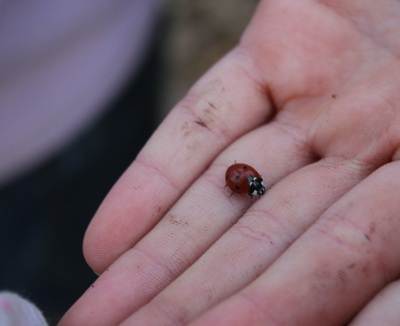 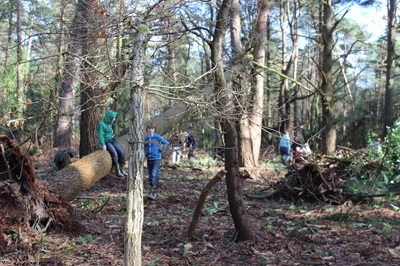 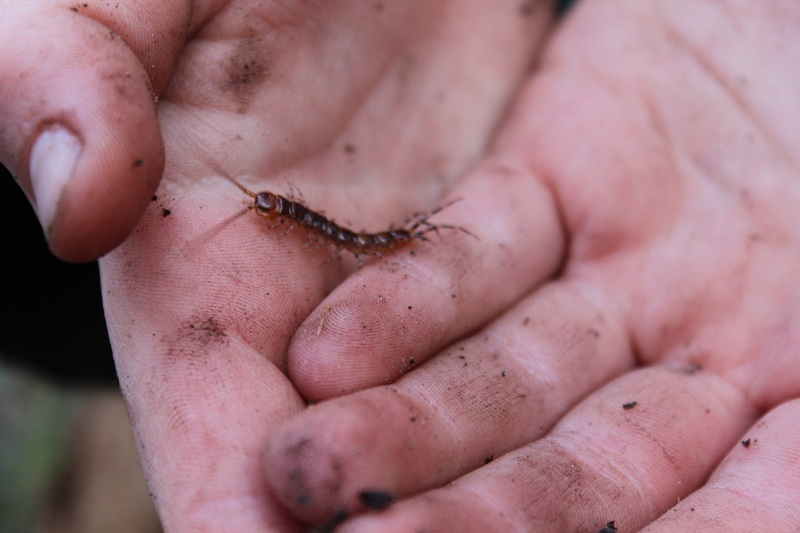 The children were kept amused with bug hunts, playing on the recently fallen tree and of course getting stuck in with the work. 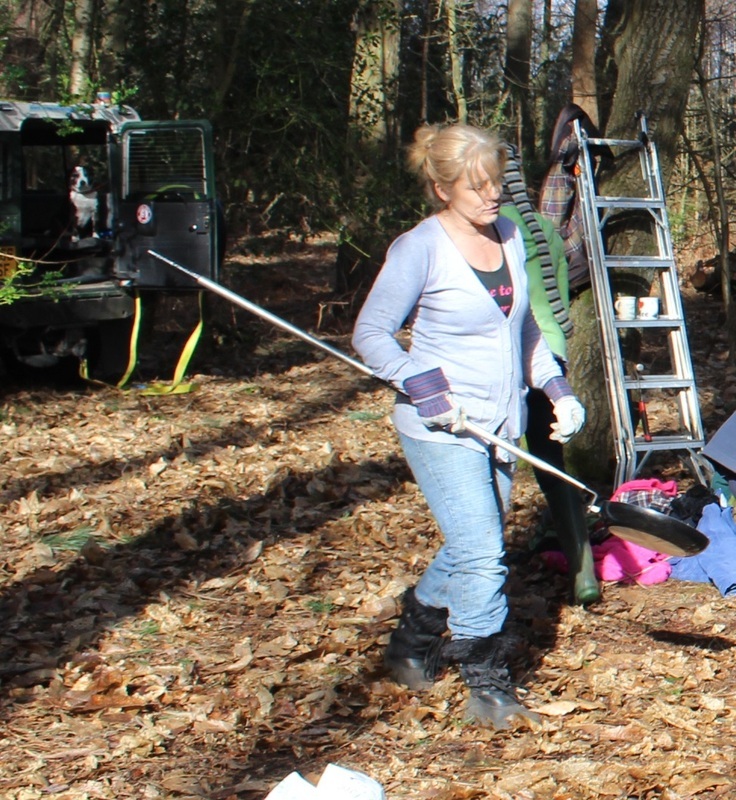 We need some correct size gloves and smaller tools for the children to use, so will be starting a fundraising scheme shortly to get them kitted out! 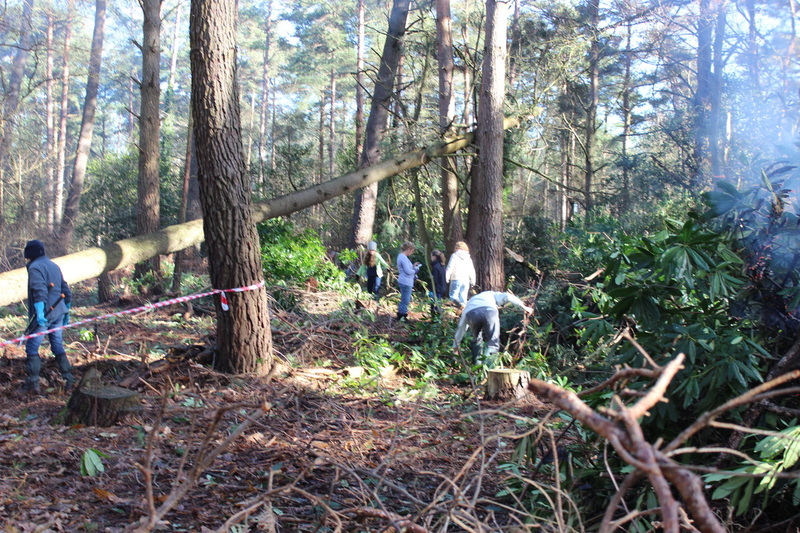 Todd was able to pick a new tree to site his bird box which had come down (with its tree) in the New Year storm. We will be back again on Sunday 16th March to carry on the work, please do come and join us. 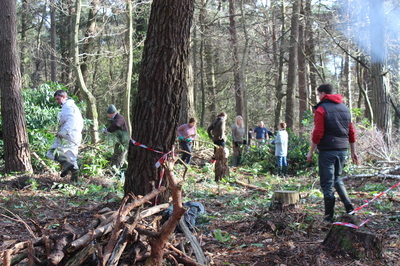 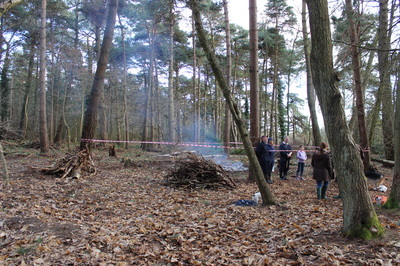 This work party featured in the Stour & Avon Magazine, read about it here.